With their highly anticipated Love Frequency on the way, UK rave pop crew Klaxons have enlisted a big-name remix for the record's title track. The song was already more than prepped for the dancefloor, but it's been given an intense makeover courtesy of the the Chemical Brothers' own Tom Rowlands. The artist has ramped up the drums, thickened the bass and given the song plenty of dynamic peaks and valleys. 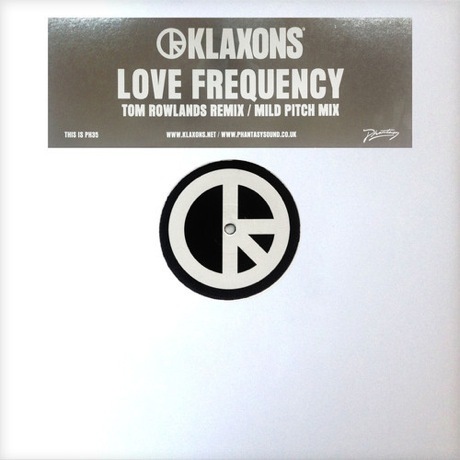 Check out Tom Rowlands' remix of "Love Frequency" below. The song will be available on an upcoming 12-inch alongside an Erol Alkan remix. That will be available on June 2, the same date Love Frequency is set to arrive, via Akashic Records. Klaxons Detail 'Love Frequency,' Share "Atom to Atom"